Characters like Louis Bloom are rare, exotic flowers – the kind you savor because you never know when you’ll see another one like it again. He’s the guy that everyone underestimates – the seemingly harmless oddball who’s actually a wolf in sheep’s clothing – but give him an inch and he’ll take a yard, and worse yet, he won’t think twice about the moral or legal implications of his actions, collecting news clips like a serial killer collects trophies. Gilory deserves a lot of credit for writing such a fascinating and complex character, but the movie simply wouldn’t work without Gyllenhaal in the role. 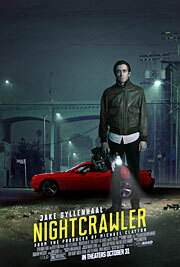 The actor has been taking bigger risks lately with darker, more mature material in films like “End of Watch,” “Prisoners” and “Enemy,” and “Nightcrawler” is the pinnacle of those recent performances. He reportedly lost 30 pounds for the part, and his physical transformation (from the sunken eyes, to the lithe frame, to that haunting stare) only enhances the character’s animalistic nature, like a hyena waiting to pick up the scraps. Rene Russo is also really good as the Dr. Frankenstein to Gyllenhaal’s monster, feeding into his sociopathic tendencies with an equally amoral attitude (she describes her late-night news program as a “screaming woman running down the street with her throat slit”), while Riz Ahmed and Bill Paxton add some laughs as Louis’ dopey intern and a fellow freelancer, respectively. Though some of what Louis gets away with in the movie is pretty implausible, it’s all done with such pitch-black humor (especially the sheer nonchalance of how Louis goes about his job) that you can forgive Gilroy for going to extremes in order to make his point. 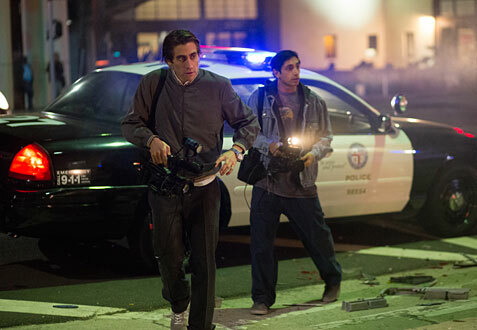 After all, most people are already aware of how the media preys on fear through propaganda, but if even half of what happens in “Nightcrawler” is true, then it’s even more terrifying than we imagined.